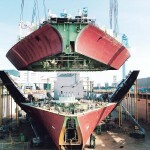 New shipbuilding contracts worth a total of 28.46 million CGT are expected to be signed worldwide this year. For reference, the amount was 28.55 million CGT last year. In 2018, contracts for building LNG carriers soared by 400 percent in one year to 5.85 million CGT (76 ships). The numbers are estimated to fall to 4.08 million CGT and 53 this year. 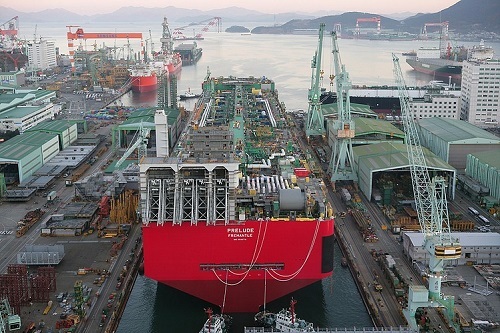 Even so, South Korean shipbuilders are expected to clinch a number of new contracts for large ships, including LNG carriers, oil tankers and container ships. This is because many large ships are reaching the ends of their service lives. Specifically, 20 percent of oil tankers, 15 percent of container ships and 14 percent of bulk carriers will be at least 20 years old within five years. The ratio is 19 percent for MR product tankers, 21 percent for very large crude carriers, and 20 percent for Suezmax tankers. South Korean shipbuilders hit the bottom in terms of new order receipts in 2016. Last year, however, they accounted for 42 percent of new shipbuilding contracts in the global market, beating Chinese shipbuilders and rising back to the top in six years. 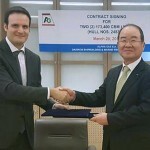 This was because an increasing number of shippers preferred large ships for factors such as fuel efficiency and South Korean shipbuilders are good at large ships. Next year, the International Maritime Organization’s ship fuel sulfur content regulation will be tightened from 3.5 percent to 0.5 percent. 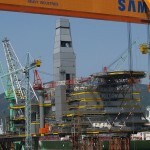 This is likely to be a boon for the Korean shipbuilders, too. Under the new regulation, ship owners have to use low-sulfur oil, desulfurization scrubbers, or LNG-fueled ships. 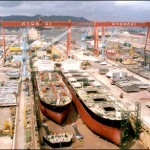 The first option is the easiest yet expensive one, and a number of ship owners are mulling over the second. 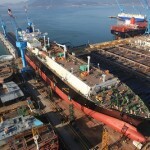 Scrubber installation on an existing ship is more expensive than scrubber installation on a new ship and, as such, new ship orders may follow one after another. LNG-fueled ships are expected to be in high demand this year, too.